Long-running anime are great, but sometimes you just want to enjoy a handful of episodes to kill a boring evening. That’s exactly where OVAs come in! For those of you that are unfamiliar with this term, OVA stands for Original Video Animation, meaning shows that are not aired on standard television and are usually only a few episodes long. There are OVAs that stand completely on their own, but most of them are spin-offs or side stories of popular shows. They can introduce characters in more detail, explain what happens after the events of the show or simply take you back to your favorite anime universe. Today we want to focus on our favorite Comedy OVAs. 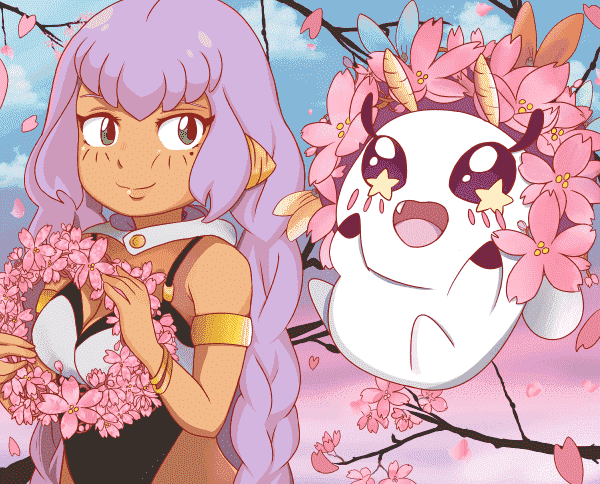 We have compiled a quick list of our ten favorite OVAs and cannot wait to show them to you. So what are we waiting for? Enjoy today’s Top 10! 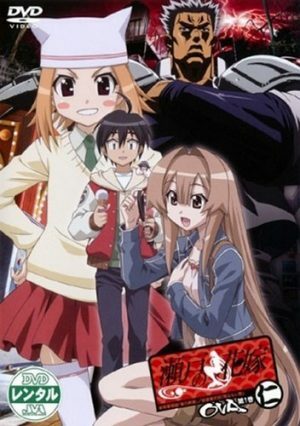 First up on our list is an OVA to a parody/comedy show from the year 2007. Get ready for Seto no Hanayome’s OVA! This short series features the main cast of the original show but also introduces some new characters. The two mermaids San and Luna continue their education and are now in their third year of school. 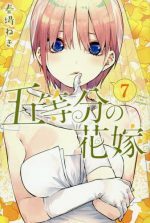 While they try to keep living a relatively normal life (considering that the two girls come from families of yakuza mermaids), young Nagasumi still tries to make sense of his life that was turned upside-down. 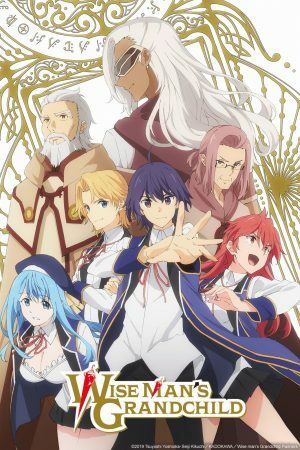 The OVA consists of four shorter stories that can be all summed up as comedic encounters that are meant to make you laugh without thinking too much about a deep storyline or character development. In fact, this OVA doesn’t attempt anything other than giving you more time with the main cast and continuing Seto no Hanayome’s crazy style. It’s safe to say that if you’re a fan of the series, you will also enjoy this OVA. Everyone else should check out the original series since it’s a comedy anime you shouldn't miss out on. Next up is an OVA that is quite long when compared to the rest of our list. Seitokai Yakuindomo’s OVA has eight fun episodes to offer to all fans of the show. 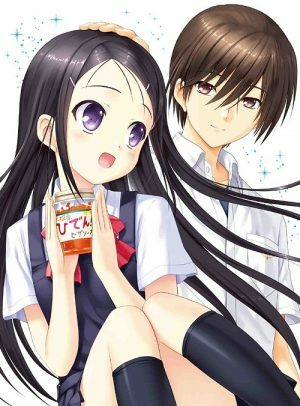 Seitokai Yakuindomo is the story of Tsuda Takatoshi who is one of the first boys to enroll in a former all-girls school. His wish for a quiet and down-to-earth school life is destroyed when he’s elected vice-president of the student council and has to deal with a whole school full of crazy girls. The OVA continues Takatoshi’s story into his second year at the school. He still has to tackle the duties of a vice president, but now he also has to take care of his younger sister who is about to join as a first-year student. Takatoshi never gets to catch a break. Just like in our previous recommendation, this OVA doesn’t waste time on character development or advancement of the storyline. Instead, it continues the story of Seitokai Yakuindomo right where it left off and offers a couple more hours of fun and laughter. 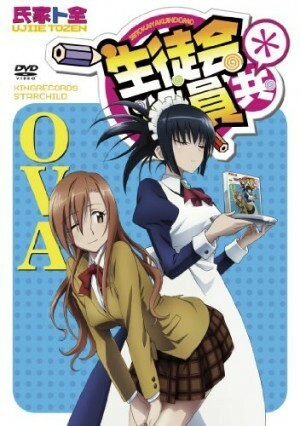 This OVA might not reinvent Seitokai Yakuindomo, but it can definitely please all fans of the series and that is reason enough to include it on this list. From an all-girls school, we are moving on to an art school with Hidamari Sketch. The original anime series revolves around Yuno and her dream of attending Yamabuki Arts High School. 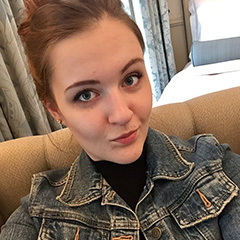 Once enrolled, she has to not only tackle her daily school life, but also the weird group of friends she makes. 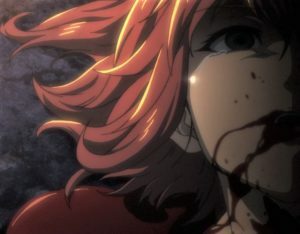 While trying to make Yuno feel at home, they also add all kinds of adventures and unexpected events to her everyday life. 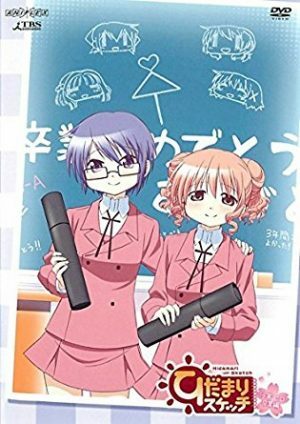 The OVA Sae Hiro Sotsugyou-hen features the graduation of Yuno’s classmates Sae and Hiro. Let us start by saying that Hidamari Sketch is a simply adorable anime that all fans of school/comedy shows should check out. 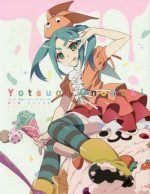 Its OVA doesn’t disappoint either and continues the adorable style of the anime series. Not only that, but these two episodes will make you laugh and cry at the same time. Laugh, because they feature the unique humor of Hidamari Sketch, and cry because the producers went out of their way to make these two episodes as heartwarming yet sad as possible. Two thumbs up from us! You surely remember the simply hilarious show Baka to Test to Shoukanjuu, right? If not, then allow us to refresh your memory. Akihisa Yoshii is a baka, an idiot, and is thus transferred into the F class of his high school. Unlike the prestigious A class, Akihisa, and his classmates have to make do with outdated furniture, a dark room, and uninspiring lectures. But there’s one way for the students to turn their fate around, attack higher-placed classes in a battle of knowledge. In the two-episode long OVA, you will see more of your favorite characters as they prepare for the school festival. The story continues right after the events of the first season, but to be honest, you could enjoy these two episodes on their own, without knowing the original series. Why? Because they are simply hilarious and don’t rely on much in-depth knowledge of the storyline to appreciate the comedy. Fans of Baka to Test know that it is one of those over-the-top, silly shows that somehow still manage to be hilarious. If you want to have a good laugh and are a fan of school anime, then check out Baka to Test’s OVA. 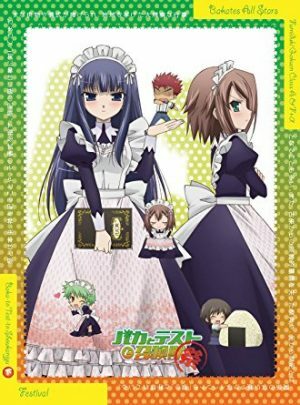 Speaking of over-the-top, silly yet funny shows, next up is the OVA of Kore wa Zombie Desu ka?. Ayumu Aikawa has led a pretty normal life so far. 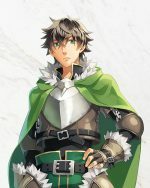 But this changes when he is killed by a serial killer and brought back to life by a necromancer girl with the charming name of Eucliwood Hellscythe. After barely accepting the fact that he’s now a zombie, he runs into even more trouble - he accidentally steals the uniform and powers of a magical girl and now has to make ends meet as a magical girl/zombie crossover. How much weird fun can the OVA add on top of that? A lot, apparently, since this OVA follows right in the footsteps of the anime series. Both art and comedy are consistent with the previous episodes and build a nice bridge between the first and second season of Kore wa Zombie Desu Ka?. The storyline might not be groundbreaking, but we wouldn’t expect that from a two-episode OVA. Once again, fans of the series will definitely also enjoy these two extra episodes, while everyone else should give the original series a try. After all, where else would you be able to follow the adventures of a zombie/magical girl/high school boy? 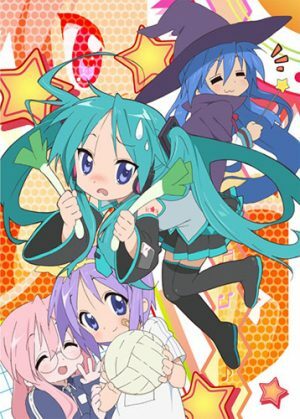 We continue our list of must-watch comedy series with hit show Lucky Star and its charmingly hilarious OVA. Lucky Star should not be explained with its storyline, but rather with its main cast. It’s the story of four high school girls who couldn’t be more different from each other yet somehow still end up becoming best friends. They tackle their daily lives together and end up in more than just a few hilarious scenarios. 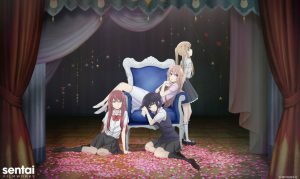 These girls are simply too charming not to fall in love with and their OVA proves their timeless charm once more. Even though this OVA might only be one episode long, it features six new stories around Lucky Star’s crazy main cast. In the spirit of Lucky Star, the situations these girls walk into are everything but ordinary and will once again entertain you with their randomness. 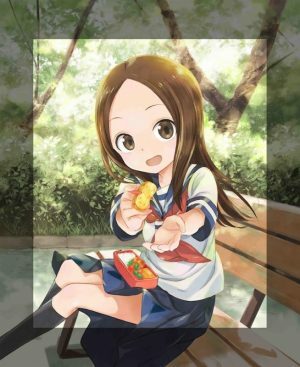 We wanted to include this OVA despite its shortness because it stays true to the original series and doesn’t try anything other than giving fans of the series more time with the adorable main cast. You cannot go wrong with Lucky Star, so check it out if you haven’t already. Prison School’s OVA is one of the most recent ones on our list since it was just released at the beginning of this year. 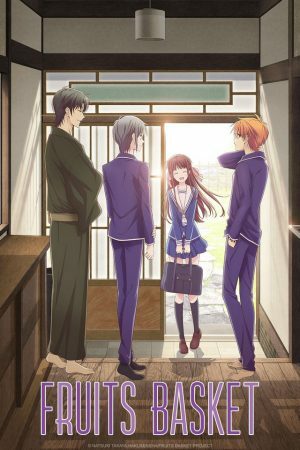 Hachimitsu Private Academy is a prestigious all-girls school that decided to allow boys to enroll on their campus. What sounds like a dream come true, turns out to be a living nightmare as the first five boys soon have to realize. After an unsuccessful attempt of peeping into the girls’ bath, the boys have to learn the hard way how peace is kept at Hachimitsu Academy. Just like our previous recommendation, the Prison School OVA restricts itself to one episode. 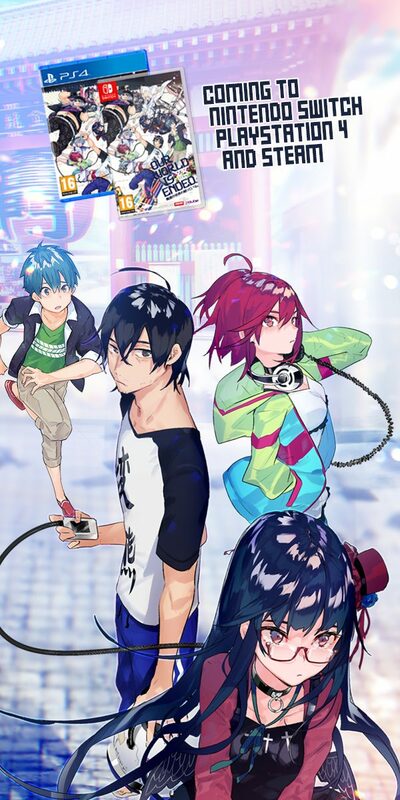 It features an arc from the original manga which did not make it to the animated series, so it’s definitely something to check out if you’ve read the manga. The art style is on usual Prison School standard (meaning that it’s pretty amazing) and the story, too, adds a nice touch to the overall storyline. This OVA does everything right it needs to do right and that is why we had to put it on the fourth spot on our list. We’ve reached our Top 3 and what better show to start with than all-time favorite Gintama? 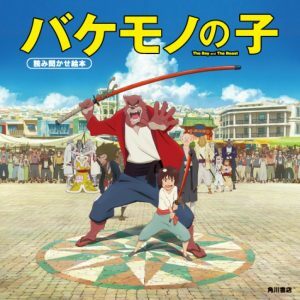 For those of you that are not familiar with Gintama, let us wrap up the storyline real quick: Aliens from outer space have come to ancient Japan and together with a ban on swords, samurai are losing their high reputation. 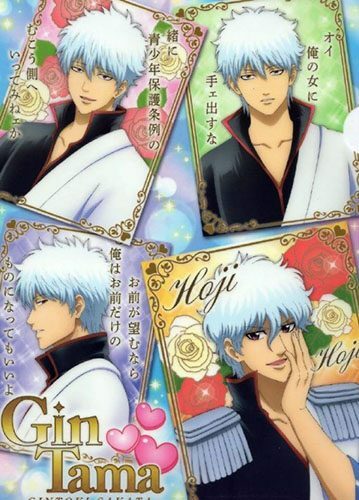 Samurai Gintoki Sakata doesn’t want to give up on his morals and duties and tries his best at living from one odd job to the next. 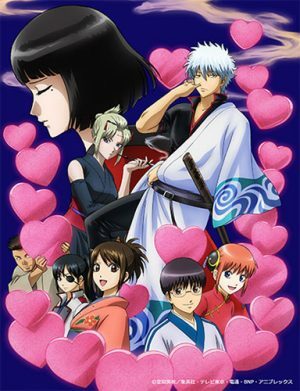 Gintama°: Aizome Kaori-hen was aired in the recent Summer season 2016 and features a curious love potion incident. When it comes to comedy anime, Gintama is always right in the middle of the discussion. Its quirky sense of humor that doesn’t take itself too seriously has made this parody show one of the most popular comedy shows out there. 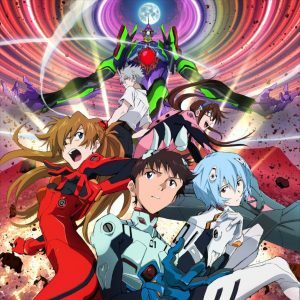 This OVA follows in the footsteps of the main series and introduces a new adventure to beloved characters. We couldn’t resist including Gintama on this list and that’s why it has earned the third spot on today’s list. 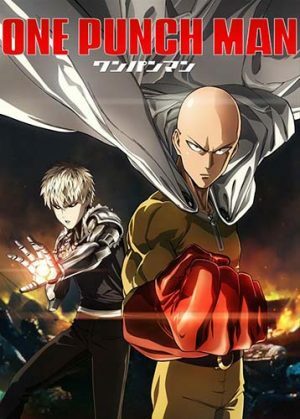 How many of you cannot wait until the second season of One Punch Man starts airing? We definitely cannot, but at least there’s the One Punch Man OVA to shorten our wait. Titled “Road to Hero”, this OVA features exactly that: it gives more insight into the amazing journey of Saitama and what made him into the superhero he is today. What aspect of his heroic training might be most important? Is it his workout routine, the change of his mindset or his fight against evil? No, this story reveals the origins of one of his most important possessions: his hero suit. This OVA is as random yet funny as the original series. If we’re being honest, the storyline doesn’t even matter that much, since it’s the great characters and wacky humor that we miss most about One Punch Man. Road to Hero features all of that and wraps it up in the form of one quick OVA. If we have one thing to criticize, it’s the fact that this OVA is only one episode long. One Punch Man holds a special spot in our hearts and that is why we had to give it a special spot on our list. 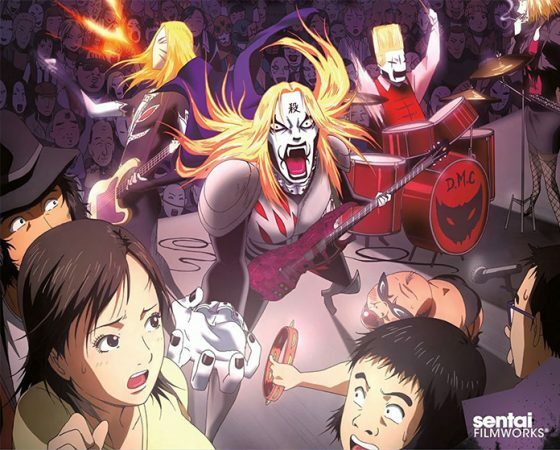 Detroit Metal City is one of those rare OVAs that stand completely on their own and feature more than just a handful of episodes. Souichi Negishi wishes nothing more than to use his musical talent to become a famous pop star. 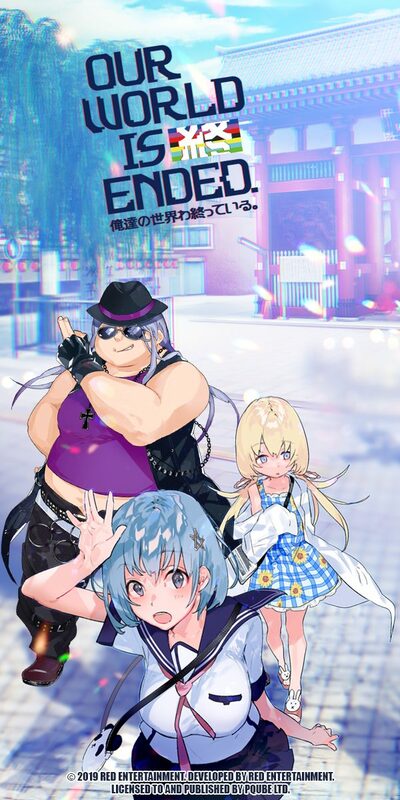 However, this career path turns out to be harder than he had anticipated and instead of becoming a charming idol, he is forced to join the death metal band Detroit Metal City. As his alter ego Johannes Krauser II, Souichi steps on stage and wins the hearts of his fans with shredding guitar solos and screamed lyrics. Is that who Souichi is really supposed to be? Detroit Metal City already stands out as one of the few - or only? - anime out there that feature death metal and are actually worth watching. The whole set-up of this show is already hilarious, but the messed-up main cast makes this adventure even more worth a watch. The fact that this little gem is 12 episodes long is only a cherry on top. 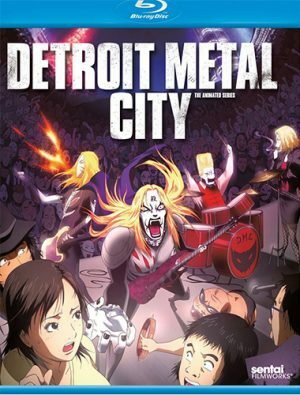 If you’re a fan of over-the-top kind of humor and quirky characters, then you will definitely enjoy Detroit Metal City. Everyone else, give it a try, either way, you’d be surprised how funny the adventures of a death metal band can be. This wraps up today’s recommendations! How many of these OVAs have you watched? 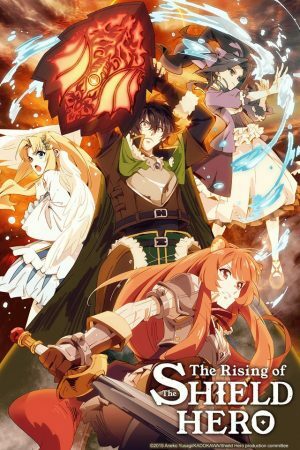 As mentioned in the beginning, OVAs are great if you cannot get enough of your favorite show and want to spend a little more time inside its universe. That’s why you shouldn’t expect groundbreaking storylines or unexpected twists and turns from OVAs. Their charm lies in the featured cast and the chance to enjoy one more adventure with them. 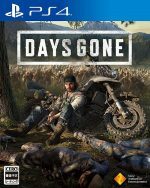 So give today’s recommendations a try and let us know what you think of them! 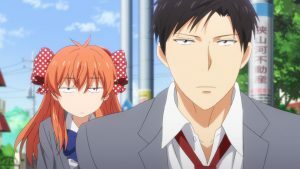 What is your favorite comedy OVA and which one have we missed out on? Leave a comment down below!